2. 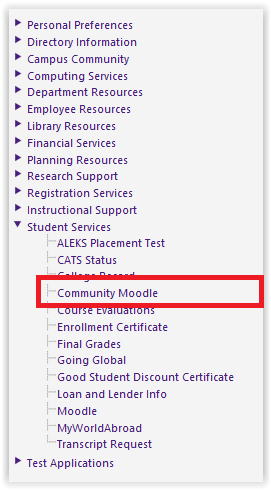 Select Community Moodle from under the Student Services drop down on the left-hand side of the screen. 3. You should be directed to the Community Moodle homepage.